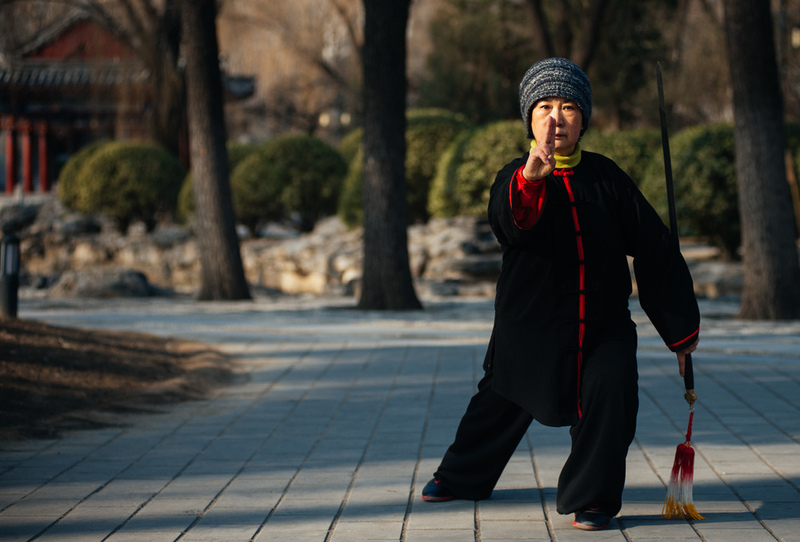 Woman practices Taijijian in the park. On the last day of 2015 I visited Ritan Park 日坛, the Temple of the Sun. They have a circular mound there where rituals used to take place, but it was closed off. Instead we could see a lot of people doing Taiji and Chinese Square dance. Couple "square dances" in Ritan Park. 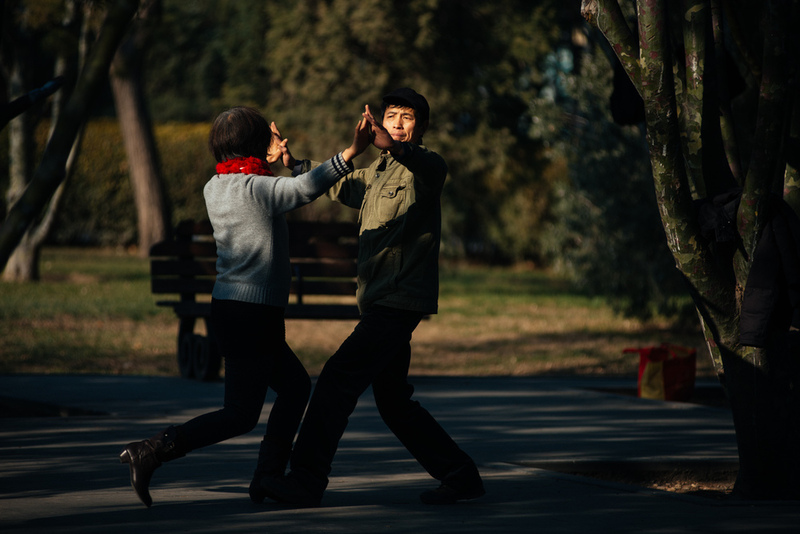 In China it is very common to see couples dancing in parks or on the streets every day. Two men play ping pong in the "free exercise area", right next to what used to be the sacrifice mound of the Temple of the Earth. Later we went to the tomb of Matteo Ricci, subject of my previous post. In the grass area right next to the tomb of Matteo Ricci, in an area that was probably the grave yard of the first Christian cemetery in China, three people play Maquepai, or "Sparrow Cards". Apparently the man had a good hand. At least that's what he said. And, at last, one more park, in front of the Beijing Exhibition center, right next to the zoo. This girl was holding her Little Mermaid kite so her dad could make it fly. ...and then started to run and scream following the kite, and her dad that was also running to get the kite up in the air. They did that a few times. Beside the guy that made and sold kites, an old man fixes the wheel of his bicycle. Here you can see a Scope my friend Mike did when we were at the park. You can see me shooting in the video.